Brogues with polka dots! Giant glorious fabulous and fun-tastic polka dots! Loved them. The rest of the outfit sort of sprouted out of polka dots as if they were the magic beans. 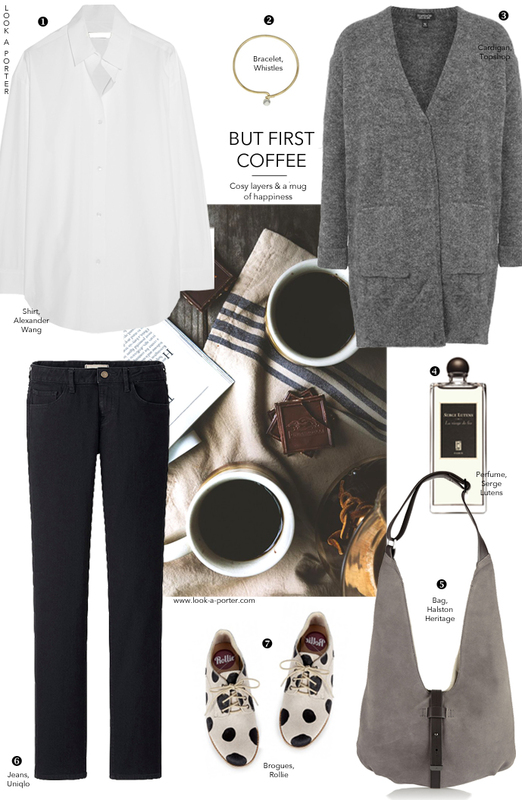 Oh, yes, and it's all for Sunday - super-casual, coffee-flavoured, cardigan-wrapped Sunday.